Grade 5 students have partnered this year with Bounty & Soul, a non-profit organization dedicated to creating a health and wellness movement in underserved communities in Buncombe and McDowell Counties. In January, Bounty & Soul's executive director Bruce Ganger came and spoke to CDS students about food insecurity and the Bounty & Soul program to bring nutrition and well-being to people in our community. Students learned that 1 in 4 children face food insecurity in our county. They also learned that when children come to school unfed or undernourished they cannot concentrate in school, and they discussed how this can impact their overall performance in school. In the spring, the class volunteered in the garden and the market. Many of the students exclaimed how much fun it was to be out of the classroom and getting to work in the dirt, while also learning how to properly cultivate a garden. At the end of the school year, to further help support the Bounty & Soul garden and market projects, fifth graders donated their year-long pizza sale earnings. 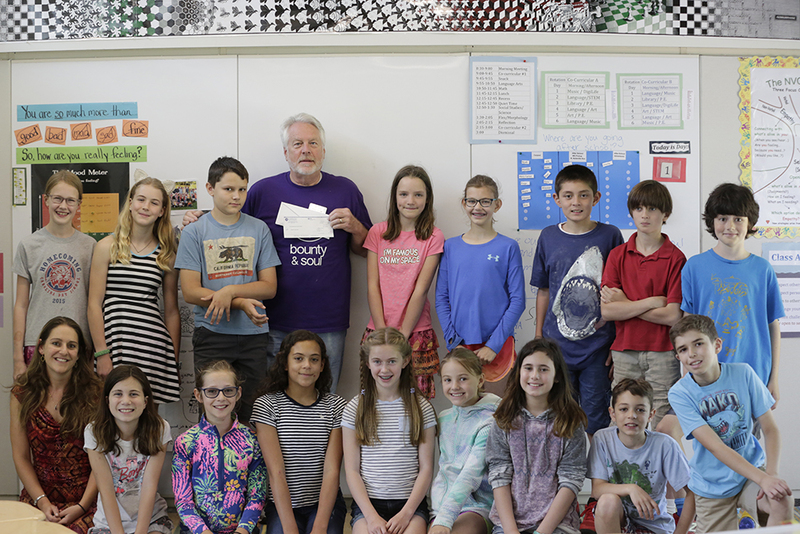 On Wednesday, May 23, during a visit from Bounty & Soul to the school, fifth-graders were able to present to Bounty & Soul a check for $2,000 and learned that the donation will help over 6,000 people. The students also helped portion and bag non-perishable food for the markets. Other students worked with STEM teacher, Ian Riddell, to construct two compost sifting tables that will be donated to the Dr. John Wilson Community Garden, along with a $300 check for additional needs at the garden. “I was overjoyed to see the students selflessly and excitedly contributing to the projects both today at school and during their time in the garden and at the market,” said Grade 5 teacher Alicia Cardina. 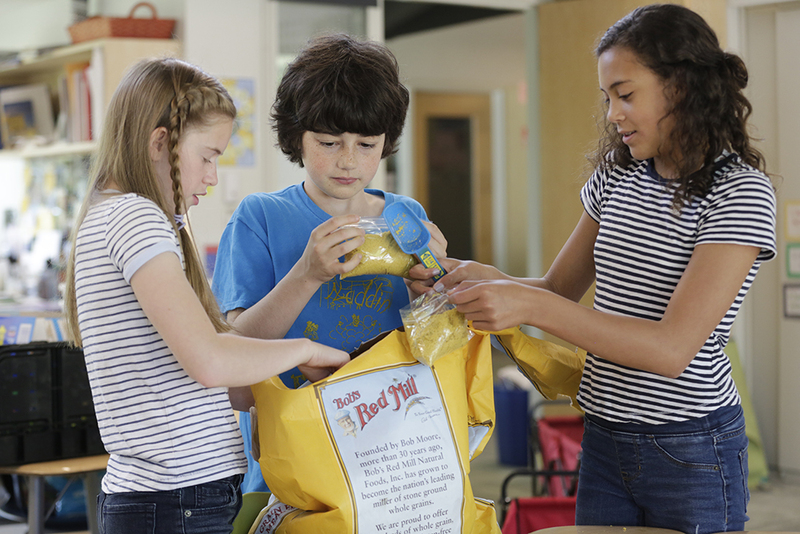 “Having a true service-learning experience has broadened the fifth-graders' understanding of the human experience while building such important qualities such as empathy and gratitude. We thank all the families who purchased pizza throughout the year and supported this wonderful partnership with Bounty & Soul, and look forward to continuing our work with them in the future." See more pictures from the May visit from Bounty & Soul to the school. 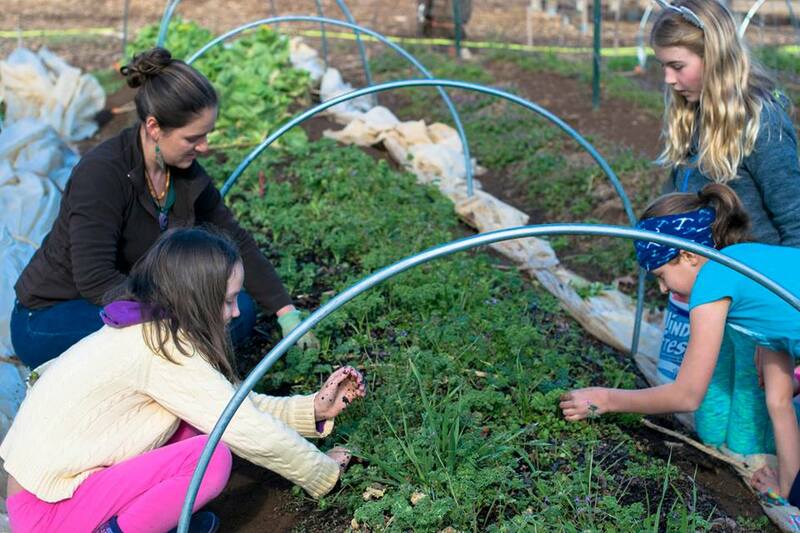 See pictures of students assisting in the Bounty & Soul garden and market in March.